I ’m not wild about saffron, the third installment of the new, improved, exotic, refined, romantic (what was wrong with the old?) King Crimson. It’s a very good album, don’t misunderstand; I’m just not sold on its merits as a good King Crimson album. 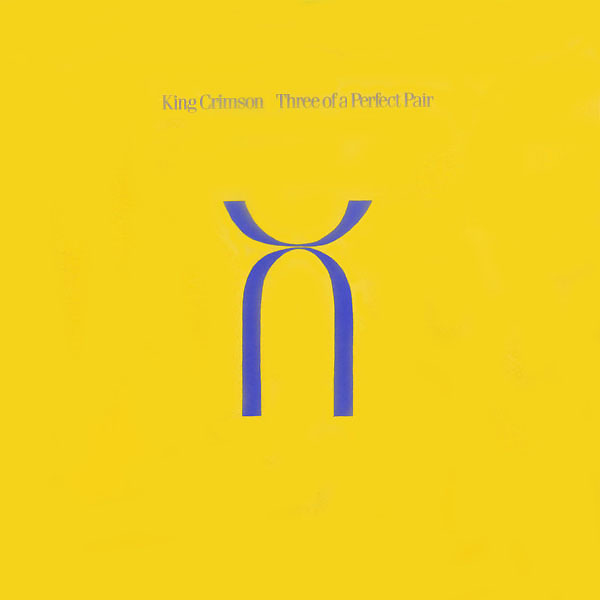 The perfect pair in this case are Adrian Belew and Robert Fripp, who divide the album (sort of) into their own halves. So what you have is half an album of avant garde pop music (Belew) and half an album of ambient/industrial noise (Fripp). 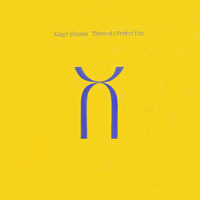 The opening “Three of a Perfect Pair” follows the same formula as the first two (red and blue), and just when I was thinking they hadn’t missed a Beat since Discipline, the very model of an Adrian Belew solo song slips in (“Model Man”), then two (“Man With An Open Heart”). Belew had been busy since Beat, releasing two solo albums, while Fripp had been collaborating with Andy Summers. A lot of Pair sounds like a bewitched rhino, with Levin and Bruford doing their level best to honor the contraKct. To Belew fans, I would recommend this album over Twang Bar King in a heartbeat. But Crimson (the concept) is about much more than Belew or Fripp, and Three of a Perfect Pair isn’t. The band had become a platform for its most prominent members, even if it was an interesting platform. Rather than dilute the brand into a mere mouthpiece, the band broke up. When they re-formed in the ‘90s, it was in the vein of “Industry” and “No Warning,” only less lucid and more lurid. Music by King Crimson; Words by Adrian Belew.